Huron Potawatomi Head Start is one of the first recipients of Grand Rapids' Neighborhood Match Fund. 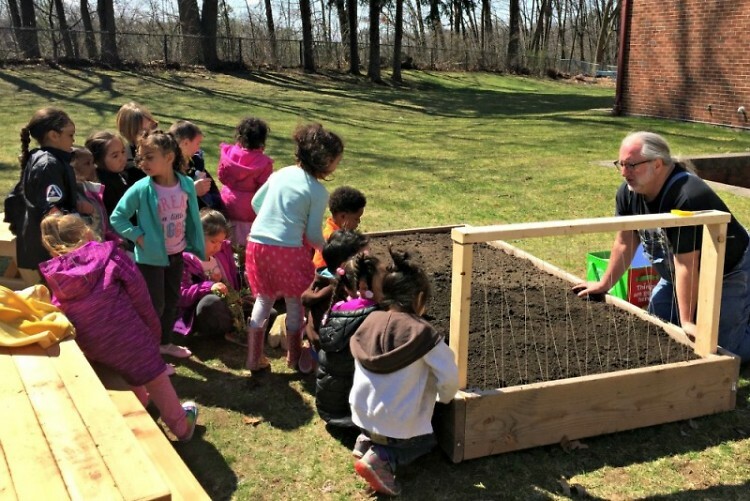 Local preschoolers will get the opportunity to experience the healthy benefits of being out in nature and learning about the origin of their food. 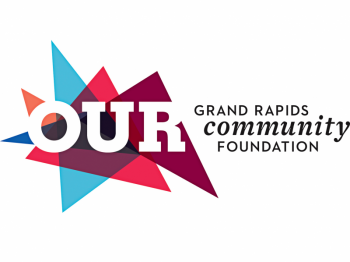 As an educator of the Huron Potawatomi Head Start I wish to express what an honor and privilege it is for our program to be a recipient of the Grand Rapids Neighborhood Match Fund. These funds will allow our students to experience growing a garden. But, this project will bring more than a garden. 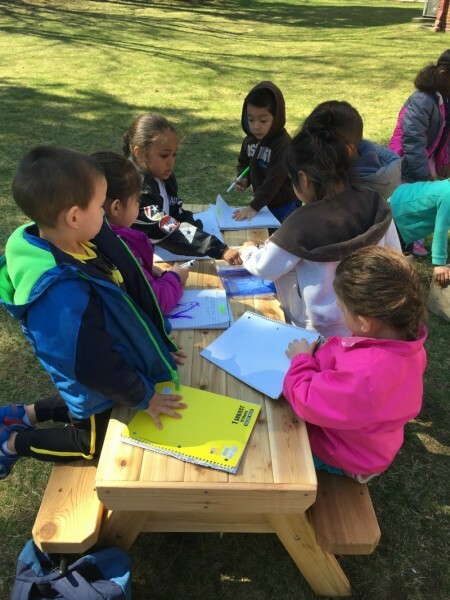 Here at Huron Potawatomi Head Start, we believe in the power of outdoor experiences. Richard Louv, author of Last Child in the Woods, describes the phenomenon of the disconnect of children from nature as “nature deficit disorder.” Arden Bucklin-Sporer and Rachel Kathleen Pringle, authors of How to Grow a School Garden, agree stating that, “The present generation of school age children is largely disconnected from agriculture, nutrition, and in many cases, alarmingly distant from the natural world,” (2010). This could not be more accurately illustrated than in a recent vignette in our very own classroom. Teacher, "What do farmers do?" Student, "They take care of the animals." Teacher, "Ah yes! That is one of the things they do. How do farmers take care of animals?" Another student, "They feed them food." Teacher, "Where do they get the food to feed their animals?" (Hoping this would lead to conversation about crops and growing food). A third student, "From the store!" Many students in unison, "Yeah, the store! Teacher, "Ok, then where does the store get the food?" Most of the students shrugged their shoulders and looked confused. This scenario demonstrates that we have a big job in terms of reconnecting children to both nature and the origins of food. Kit-a-gin (meaning "we plant" or "we garden" in the local Anishinaabemowen language) addresses this current issue, and provides a mechanism to restore the connection with nature to preschool age children; especially those who are considered at-risk. Many lessons learned outdoors can be gained from tending a garden. The garden becomes a living laboratory in which they can practice math and science in a concrete manner. Students are able to observe changes of dormant seeds to a living, breathing plant. They gain knowledge of tools such as rulers used to measure growth. The garden (and outdoor in general) can inspire creativity and help guide self –directed art activities to document how they see the world. Gardens promote healthy lifestyles. Children gain health benefits through physical activity of working and being outside. They also gain working knowledge of nutrition and healthy food choices. Plants and their specific health benefits are discussed such as their vitamins and nutrients and how it helps our bodies. Gardens allow a sense of ownership, and accomplishment. 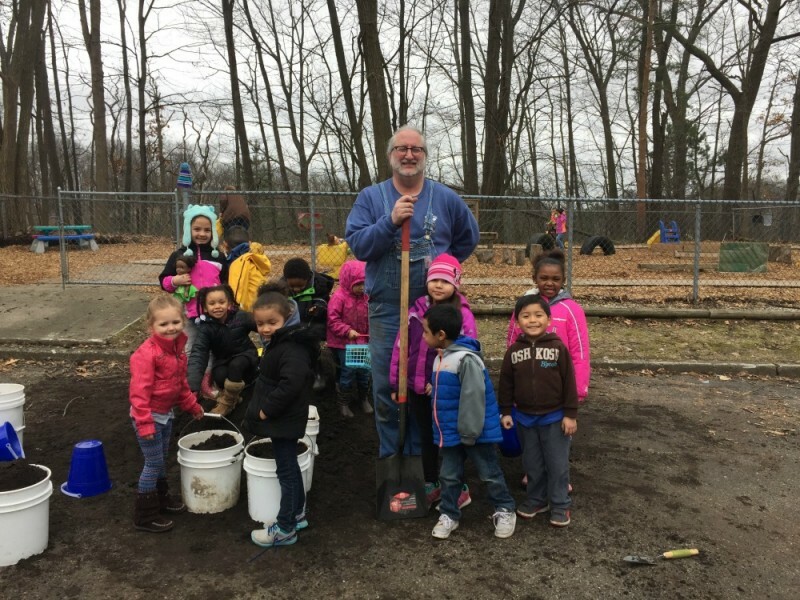 When children are involved in planting, they become invested in sharing responsibility for environmental stewardship. When students feel connected to their immediate environment, they are more conscientious on a larger scale. This project will also build stronger connections among residents in their neighborhoods, many of whom attend the church where the school rents space, as well as the parents of the students who are always free to join classroom activities. 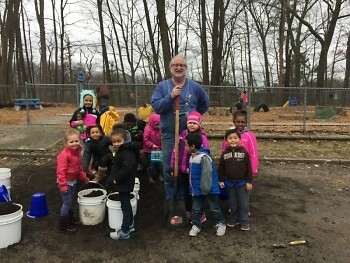 We have also collaborated with another organization Gardens for Grand Rapids, to be our “master gardener expert.” This will allow children to experience a greater chance of success. That’s what project Kit-A-Gin is all about. We want the children to feel successful. Research shows that feeling success builds self-esteem. There are so many areas in life where preschool students have limited control. With this project, they decide what to plant and are highly involved in growing the produce, which fosters learning across curriculum content areas. We are so grateful for the City of Grand Rapids demonstrating their faith in us by granting us this wonderful opportunity to help children learn and be successful.